The east coast had the most awesome weather this Memorial Day weekend! 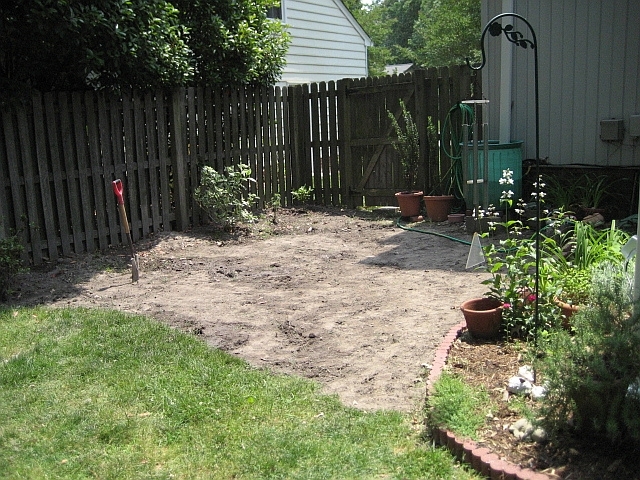 I have been planning a new garden for the side of the screen porch and I was determined to get it done this weekend! 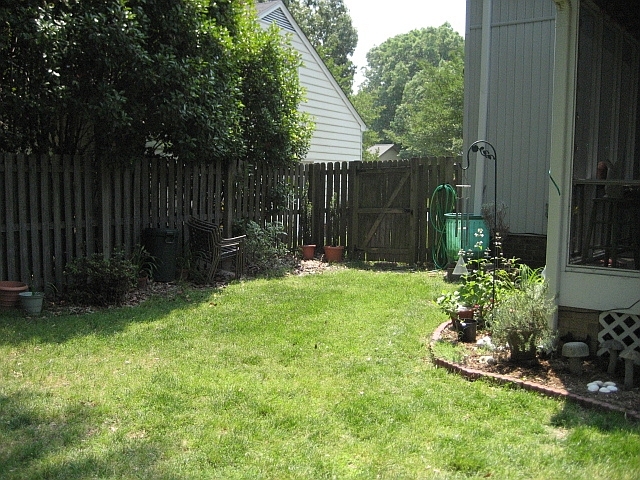 Here is the before, lots of grass and just a little bit of garden. 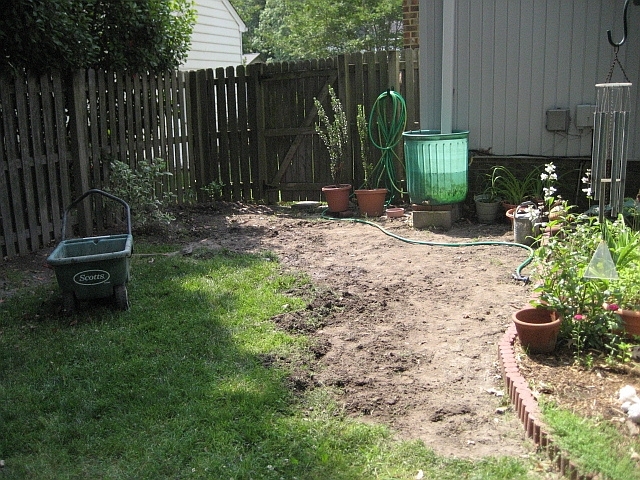 I started removing the grass, one shovel full at a time. Ouch! Next trenches were dug, bricks were laid. Sand was put down as a base for the seashells that will make up the walkway. It will take many, many bags of shells to cover all this sand, fortunately the beach is only 10 minutes away. 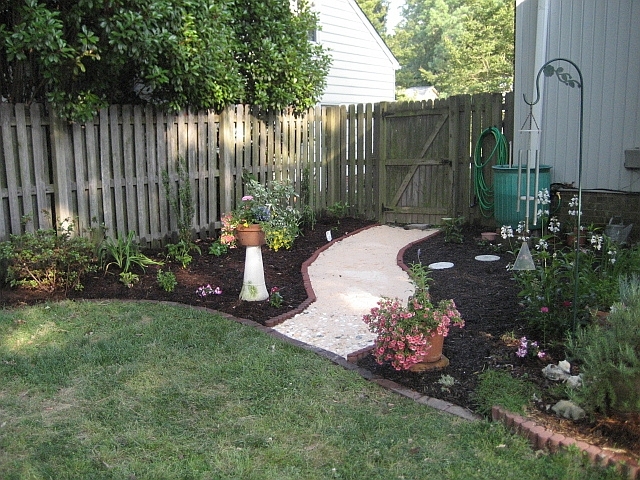 New mulch, new plants and WoW! I think it looks great! I think it needs a few more plants, guess I have to go to my favorite nursery for some shopping. It was worth the back breaking labor, the poison ivy and the bug bites. What a lovely weekend! 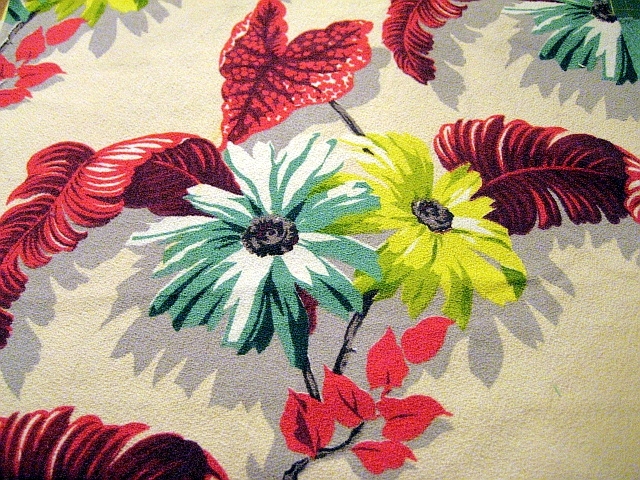 This beautiful vintage barkcloth belongs right in the garden, love those shasta daisies! LOVE THIS GARDEN! Now go rub Tiger Balm on you aching muscles! What a great job. Its lovely! Yea, I bet your back hurts, that was a lot of work! Aaahhhh, and that beautiful barkcloth. Your right, the daisies and caladiums would be right at home in your new garden.